Chelsea are lining-up a move to sign West Ham striker Andy Carroll on a six-month loan deal as Antonio Conte looks to secure his second January signing, according to the Guardian. The Blues have already snapped-up Ross Barkley in a bargain £15m deal from Everton and Conte is now hoping to bring in another striker to help ease the burden on Alvaro Morata. The Spanish international enjoyed a promising start to life in England following his summer move from Real Madrid but he’s enduring a dry spell in front of goal having netted just twice in the last two months. Chelsea were held to a third consecutive 0-0 draw during the stalemate with Leicester City at Stamford Bridge at the weekend and it seems Conte is now about to dip in to the market to help solve his goal-scoring problems. And it seems he has a surprise target in mind as the Guardian are one of several media outlets who are reporting that Chelsea are interested in signing Carroll on a six-month loan from West Ham. The 29-year-old has endured an injury-plagued career with those problems continuing since joining West Ham from Liverpool 2013 and he’s scored just twice so far this season. However, the Guardian suggest that Conte is keen to add the target man to his ranks as he would offer him something different in attack when they are struggling to break teams down. Carroll is obviously a huge threat in the air so he could be a useful option to have from the bench while he would also be eligible to play in the knockout stages of the Champions League. However, it remains to be seen whether West Ham are prepared to let the striker leave on loan as David Moyes suggested just last week that he was reluctant to let any of his forwards leave this month. 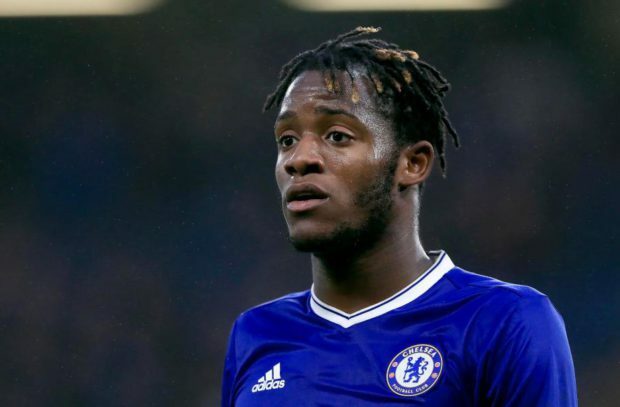 If Chelsea could persuade their London rivals to do business, then it would probably open the door for Michy Batshuayi to leave on loan this month as the Belgian international has struggled to make an impression under Conte.